Johnny Manziel's ex-girlfriend filed a police report last week, claiming that Manziel hit her several times. On Jan. 30, Fort Worth officers were dispatched to the 2100 block of Park Hill Drive for an assault call. When they arrived, police spoke with Johnny Manziel's ex-girlfriend Colleen Crowley. Crowley said she met up with Manziel earlier that evening while hanging out with a group of friends at Zaza Hotel in Dallas. After the group of friends dispersed, Manziel and Crowley were left alone at the hotel. At this time, Crowley told police Manziel became aggressive with her and said he was acting 'as if he were on some kind of drugs.' She was also adamant about noting that Manziel was not intoxicated. Crowley said Manziel hit her several times including striking her left ear. Crowley and Manziel then proceeded to exit the hotel when he told her he was going to drive her home because he did not want her to drive while intoxicated. According to the police report, Manziel and Crowley got into her car with Manziel in the driver seat. He began driving to Fort Worth where Crowley lived. 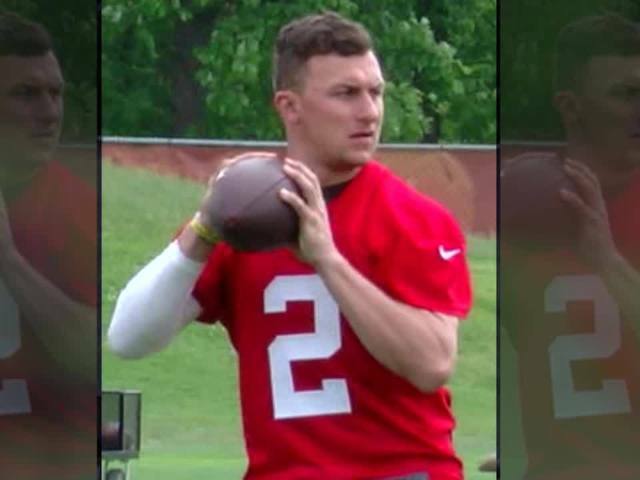 During the drive, Crowley told police Manziel continued his behavior. She said he would go back and forth between shouting angrily to making judgment claims. Crowley said in the report Manziel hit her several more times while they were driving, but was vague with the details of the assault. Crowley and Manziel arrived back at her apartment in the early morning, but she told police she did not know exactly what time. When officers asked her if any further assault occurred when the two got to her apartment, she became irritated with the officer's questioning. She said she was running in and out of the apartment to get away from Manziel, but she eventually rushed over to a neighbor's home to seek help. At that time, Manziel left the area on foot. Police said while they continued their investigation, Crowley became increasingly uncooperative and said she didn't want to answer any more questions. She did not want to fill out a police report or have officers take pictures of her injuries. Officers then instructed Air One to conduct a fly over search of the area to try and locate Manziel. Police were unable to locate him. When they tried calling him on his cell phone, police were still not able to reach him. After the first call attempt, further calls were going straight to voicemail. Cleveland Browns Vice President Peter John-Baptiste said, "We are aware of the reports and have nothing to add to our previous statement at this time."